With the recent passing of the legendary Hollywood starlet and acting icon, Elizabeth Taylor (1932-2011), the Belcourt theatre has put together a 2-month-long program called Reflections in a Violet Eye, devoted to the late Elizabeth Taylor. The Belcourt pays tribute to Elizabeth Taylor with 6 weekend screenings of her greatest performances and films throughout the months of June and July. 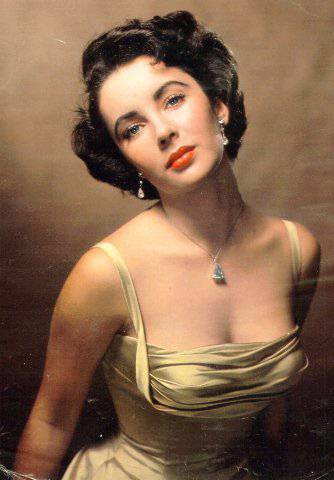 Elizabeth Taylor received 6 Oscar Nominees for Best Actress and won 3. She was also the recipient of the lifetime achievement award at the Academy Awards in 1992. One of the great things about Elizabeth Taylor’s films is not only her performances, but also the performances of the great leading actors that she shared the screen with. Reflections in a Violet Eye begins this Saturday, June 4 and will continue through the month of July. All screenings are on Saturday and Sunday. The program kicks off with a young Elizabeth Taylor who was just 12 years old in this film. A Place in the Sun was nominated for Best Picture and is one of the few films to win Best Director without taking home Best Picture. Taylor earned a Best Actress nomination as did her costar, Montgomery Clift, who was nominated for Best Actor. This film was nominated for Best Picture and Spencer Tracy earned a Best Actor nomination. Taylor is as stunning as ever in this adaptation of the Tennessee Williams play. Taylor earned a Best Actress nomination and stands opposite Paul Newman who was nominated for Best Actor. This film was nominated for both Best Picture and Best Director. Elizabeth Taylor and Katherine Hepburn both received Best Actress nominations for their roles in this film. Montgomery Clift also stars. Boom! stars Richard Burton, who in reality was romantically involved with Taylor, which caused a very public Hollywood scandal. Secret Ceremony stars Mia Farrow and Robert Mitchum. The program will close with this double feature.